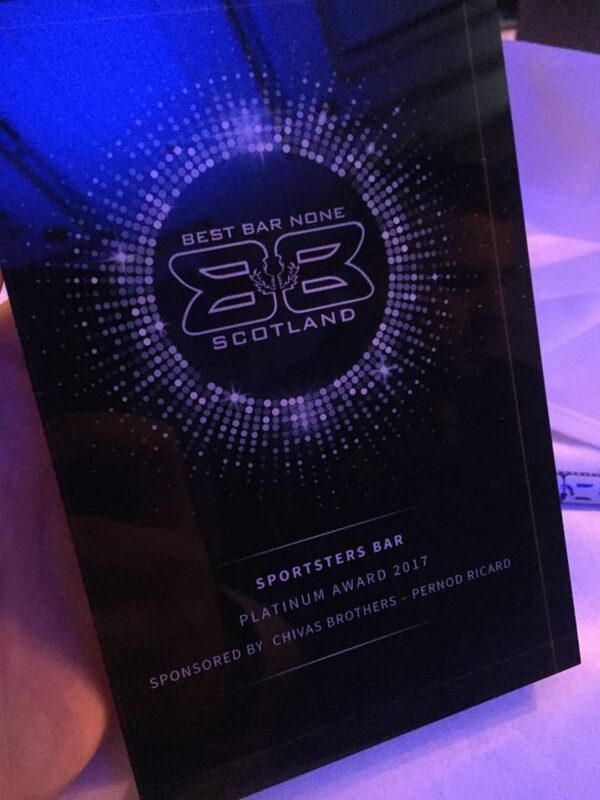 It was a historic evening for Sportsters Falkirk last week as they claimed the first ever Platinum Award at the Best Bar None Scotland 2016-17 National Awards. The status award was introduced for the first time this year and was presented to Sportsters as part of their continued excellence. Sportsters was also a finalist in the Best Bar and Innovation in Social Responsibility categories, but unfortunately didn’t walk away as winners. It also may not be the last award that Sportsters’ collects this year. 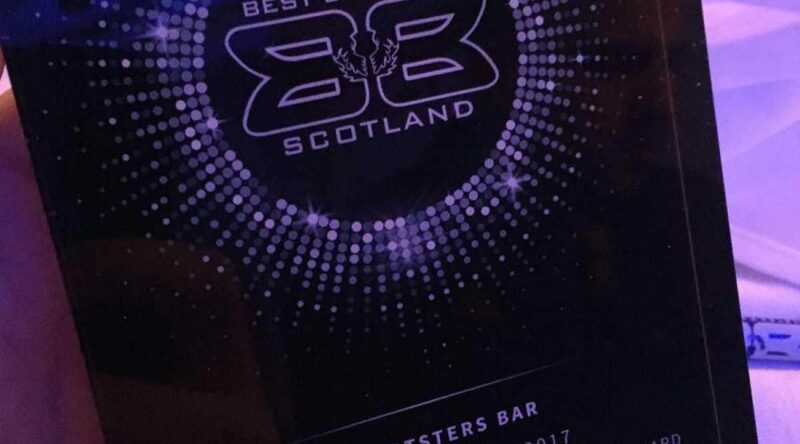 They are a finalist for Best Sports Bar at the Scottish Entertainment and Hospitality Awards which is held next month and this follows on from the Social Responsibility Award won at the 2016 SLTN Awards.